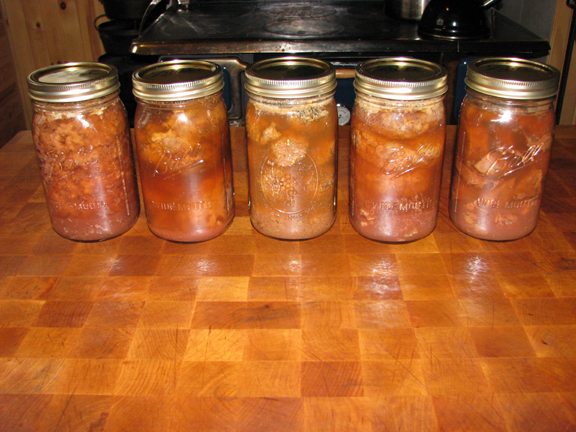 Helpful Hints Canning Your Venison • Wash and sterilize your jars ahead of time. 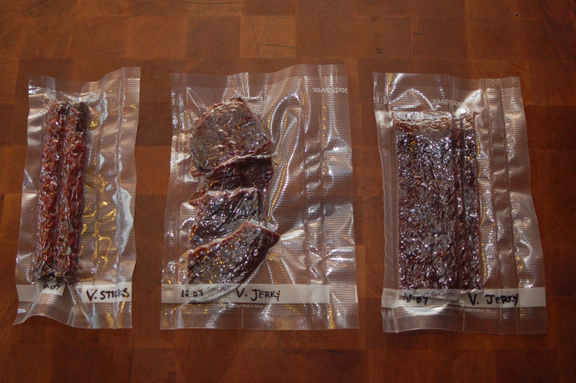 Place your jars and lids in hot water until your meat is ready to be packed in jars. I know, you don’t need to sterilize them—I do anyway. 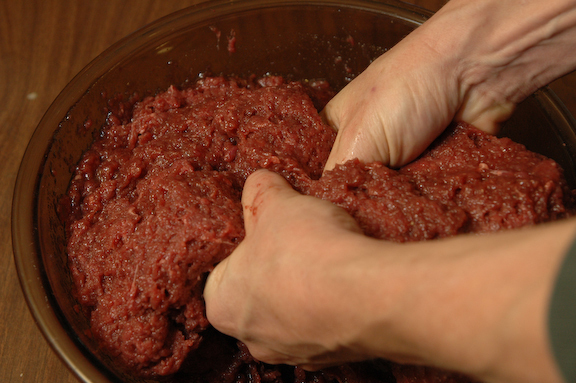 • Each quart jar will hold approximately 1¾ pounds of raw meat. 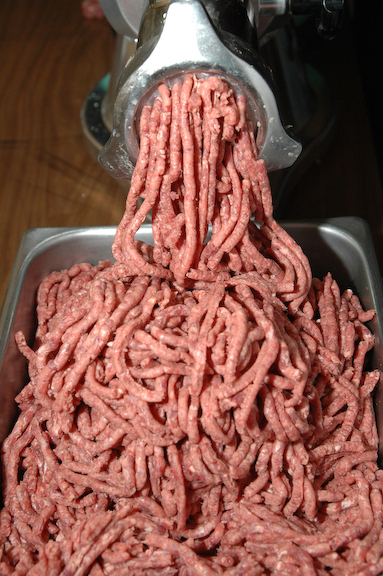 I can fit five 6 ounce seared burgers in one quart jar or 22 medium sized seared meatballs. • Remove all the fat and tallow from your meat. 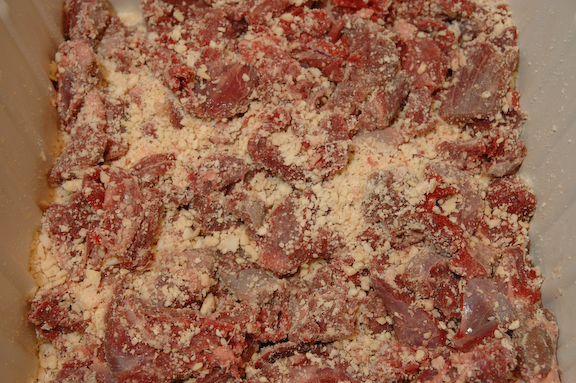 The fat and tallow will absorb salt and cause your meat to spoil more quickly. 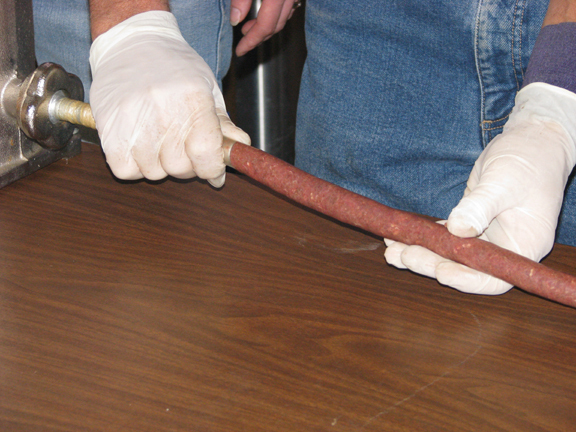 Properly canned meat should last several years if left in a cool dark place. • Cut meat into slices that are 1” to 11/2" thick and either the length of your jar or in cube shape to more fully pack the jar. • Throw 1/2 teaspoon of canning salt in the bottom of a pint jar or 1 teaspoon in a quart jar and add chopped garlic to taste. 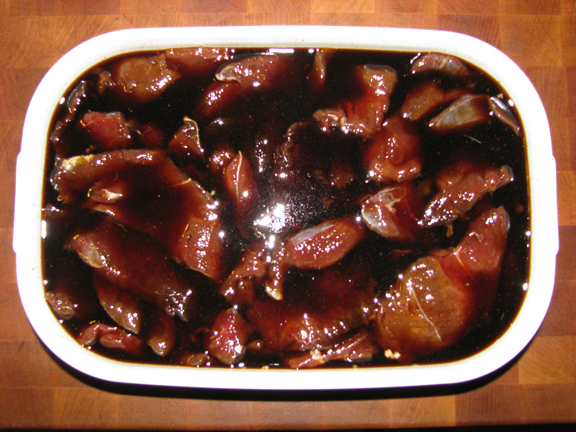 • Pack raw meat into jars leaving 1” head space. 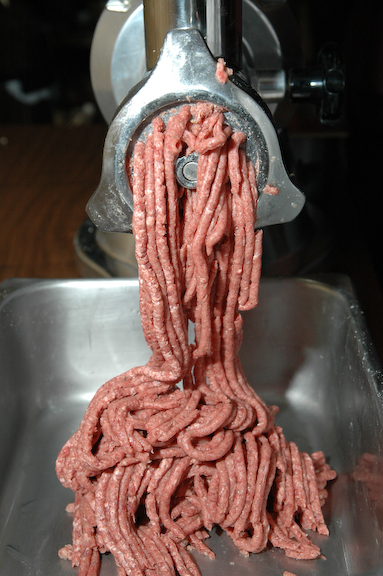 • To can burgers and meatballs I sear them first so they don’t stick together in the jar after the are cooked. • Fill remainder of jar with boiling water leaving 1” headspace. This should just be a small amount to make sure your meat is covered when the process is finished—the meat will make, and cook in its own juices as it processes. Properly packed jars will require little to no additional water. • Remove the air from jars by placing a thin knife around the edge of the jar. Gently tapping the bottom of the jar will also cause the air bubbles to rise to the top. If you don’t get the air out you will boil over during the canning process. • Use clean water to wipe tops and apply hot wet lids & screw tops. • Process pints for 1 hour and 15 minutes and quarts for 1 hour and 30 minutes at 10 pounds pressure. • Let your canner cool naturally. Never open your canner while it is still hot—let it sit and cool completely. REMEMBER: Cold air on hot jars will cause the liquid in jars to boil out. • Remove lids from jars and add water or beef broth to bring liquid level back up. • Place uncovered jars in microwave for about 3 minutes to heat water back up to just a boil. • Clean off the rim of the jar and put new lid on top. • Screw down the top tightly and turn the jars over on their tops for 15 minutes. • As they cool the jars will reseal and you can turn them back upright. • Use these jars first. 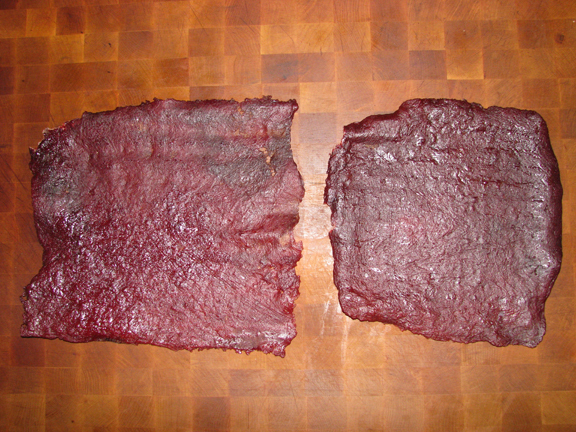 To make great Jerky I use lean meat without any fat. 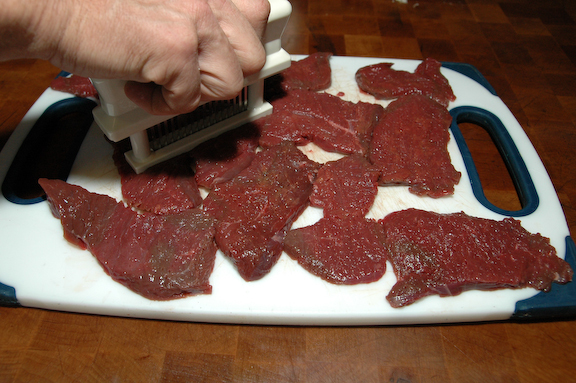 I cut my pieces about 1/4” thick and use a tenderizer to pierce the meat. Racked and ready for the oven or dehydrator. 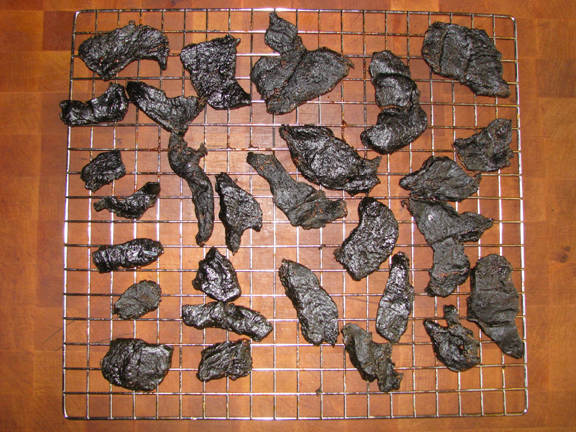 These will stay in the dehydrator 10-12 hours at 160° before they are done. 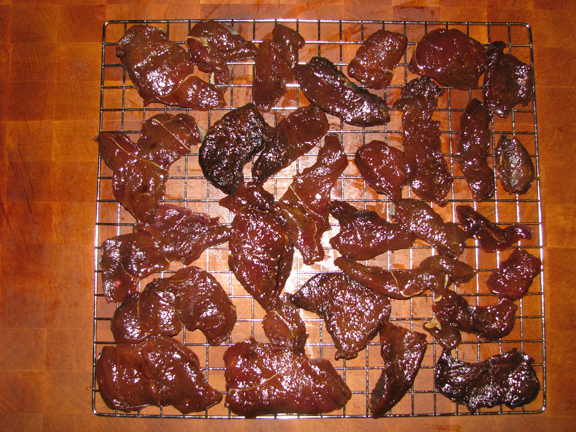 Making Jerky from Ground Meat When my daughters were young I discovered they loved to snack on jerky if it was made from ground meat—young teeth and mouths. 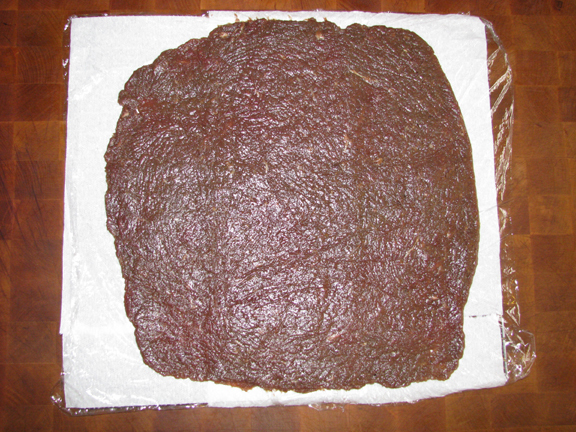 It takes about 1¼ pounds of meat per 16"x14" rack. 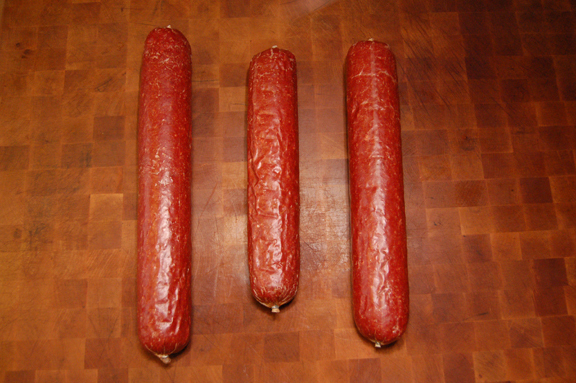 First I take the ground meat and place it on a piece of pierced saran wrap and flatten it out with my hands. 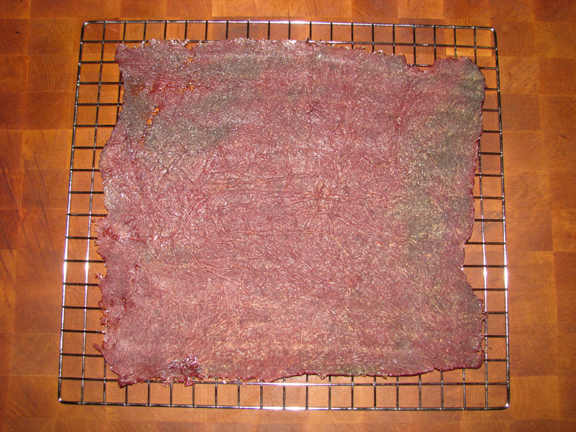 Next I put a piece of saran wrap over the meat and gently roll it out to desired thickness—about ¼"
Then, I peel the saran wrap off the top and slide the meat on the pierced saran wrap onto a rack I covered with paper towels (to catch the drippings although usually unnecessary). When they are about halfway done I flip the meat removing the paper towels and saran wrap. 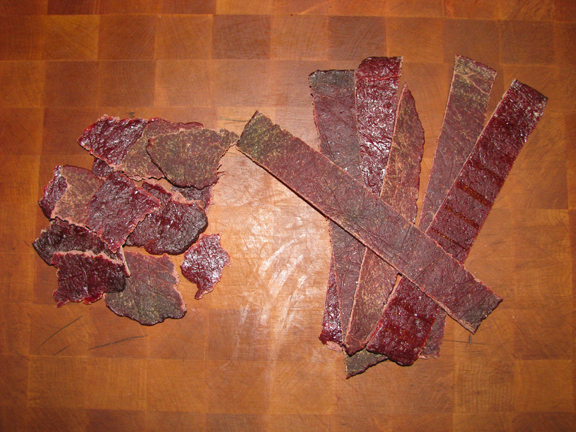 You can just tear it up or cut it up into strips. 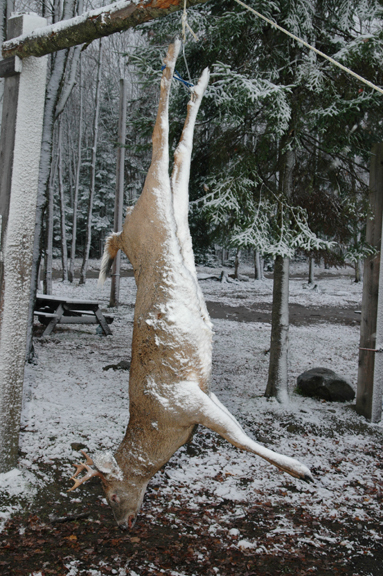 Venison is very lean so I add 2-2½ pounds of chopped pork or beef fat to every 10 pounds of venison. 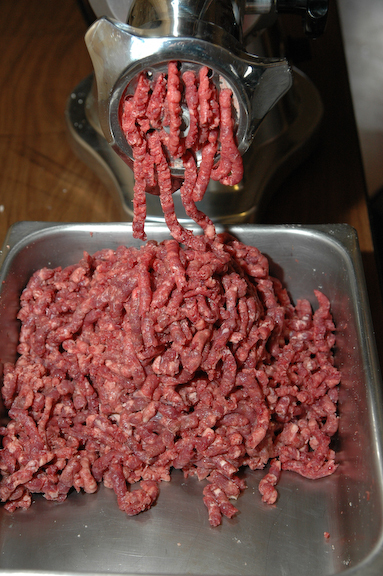 On the first grind the fat begins to be minced into the meat. I add my seasonings for the second grind and you can see the consistency is much better. 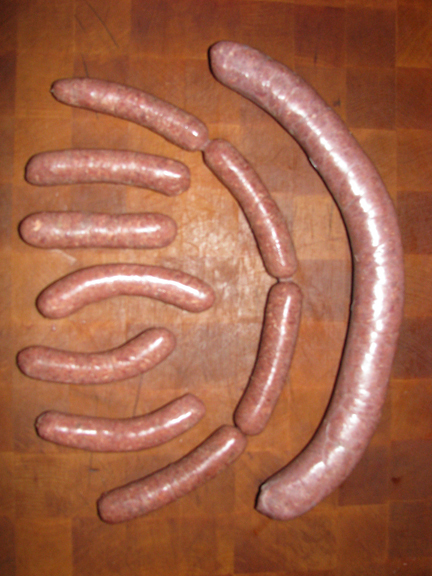 I put my sausage through a third time because I wasn't quite happy with it—now I am. 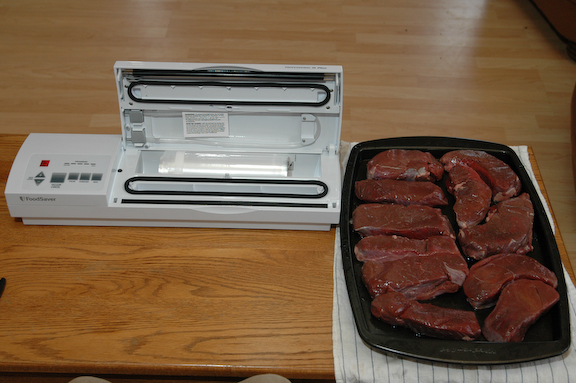 Cutting your own steaks from any meat is wonderful! 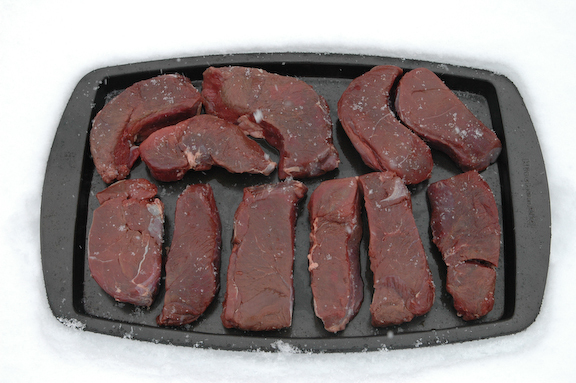 These steaks are stiffening up outside on a snow bank before packaging. 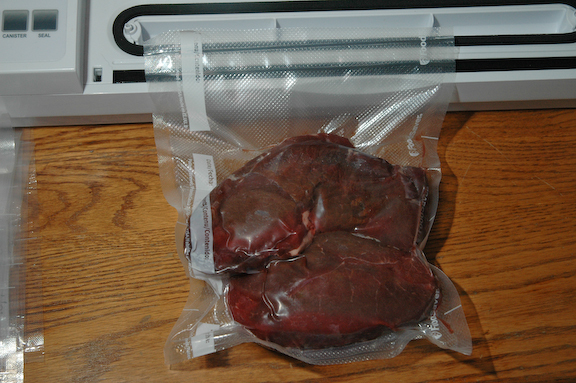 I’m vacuum packing these steaks for the freezer. Stuffing my casing with some lean (no fat added) ground venison mixed with seasonings and a little liquid smoke. On the rack ready to cook at 160°-170°. 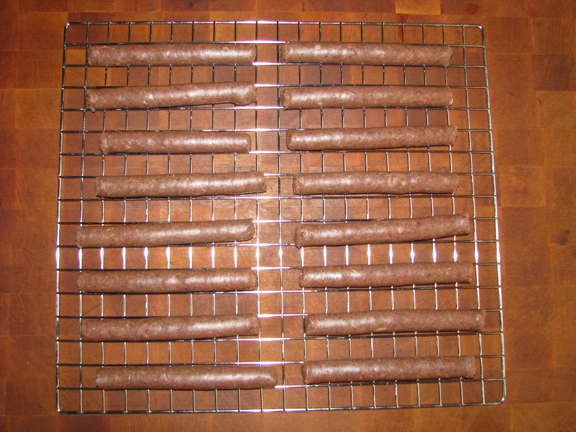 When the internal temperature of the venison stick reaches 152° you pull them out and let them dry and shrivel up. Do these look good enough to eat? 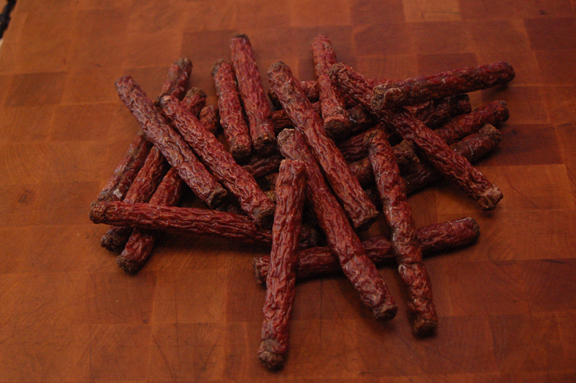 Each stick weighs approximately 1.5 ounces.